Its always a lovely surprise when we open an email to receive a happy note from a customer about their cake. 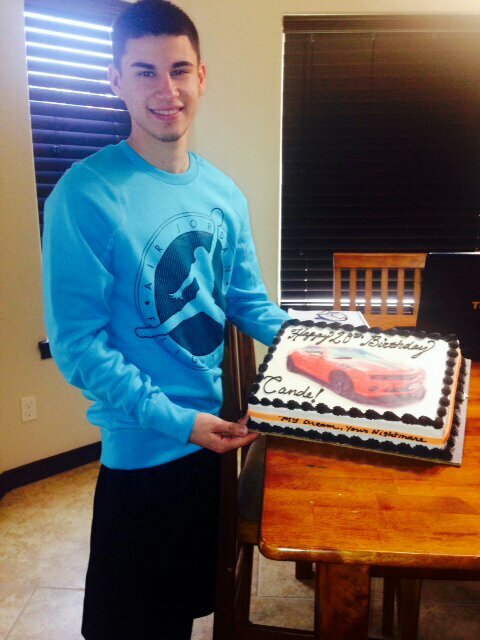 Were so happy Cande absolutely loved his Camaro cake his sister Erica ordered for him to celebrate his birthday! Thank you sooo much. My brother loved his cake!! It looked and tasted amazing!! We will be back soon! Cande’s birthday cake was a Mandarin Orange quarter sheet filled with Pineapple lush filling and frosted in our delicious Vanilla Buttercream frosting.